Mr. Jawad Ahmed Bu Khamseen, Chairman of the Kuwaiti Bu Khamseen Holding Group, said that Iraq represents a great gateway to religious tourism, which is an important pillar for Muslims in most parts of the world. This important tourism sector has not been invested properly during the past periods of Iraq’s history where millions of visitors wish to carry out these holy rites annually. 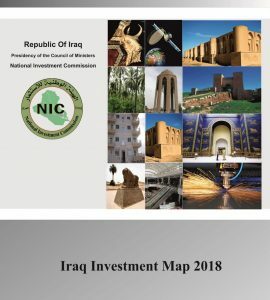 He added in his speech during the Iraq investment and reconstruction forum, held on April 26th in Baghdad and after signing three memorandums of understanding with the National Investment Commission to set up hotels and shopping centers (Baghdad, Karbala, Samarra) that Iraq is a promising country and has the potential and huge economic resources that provide a fertile environment for successful investment and that the country has been exposed to successive wars, political and economic problems which contributed to the decline. Iraqi people and its political and economic leadership and management will overcome these issues. He pointed out that the group was able, despite the difficulties and obstacles encountered during the past years represented by the security conditions and ISIS entry into Iraq and economic potential of the country being exhausted and wasted, to continue and move forward in projects represented by this grand edifice to serve visitors to the holy shrines in Iraq where The Grand Commercial Complex will be opened with two hotels (five stars) and operating in Najaf province at the end of this year. 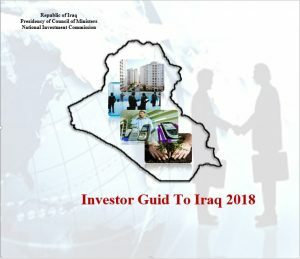 He called on all investors to enter Iraq and participate in their investments according to their specialization especially after all obstacles and difficulties were removed and after Iraq has become a safe and stable investment environment.